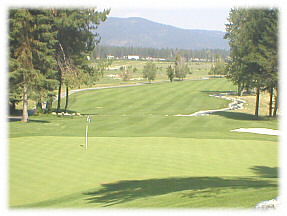 This is a golfers paradise, an 18 hole championship course. 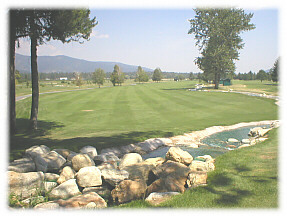 Lots of beautiful municipal courses in the area with the best prices. Lake, Mountains, City, Small Town, Forest, and National park location. 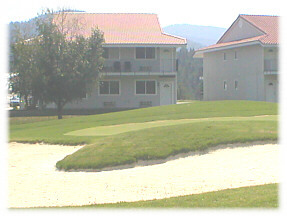 View of the 9th green of Stoneridge Golf Course. This is a golfers dream vacation area. Lake nearby, row or electric motors only, other lakes nearby in all directions. Skiing and fishing close, perfect for the whole family. Shop in the small towns or go into Spokane for the big shopping spree. 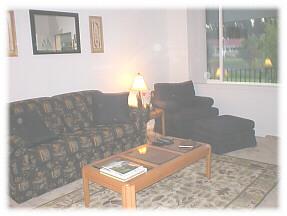 After a fun filled day relax and enjoy the pool and recreation center. The Lazyboy sleeper has a built in areobed, air it up, pump provided and it is comfy as any regular bed. Garden Tub in master bedroom. Jacuzzi tub at pool site. Full kitchen set up for 6 people. Other amenities not listed above: Pool table and Pebble Beach computer golf in recreation center. 30 minutes to Couer d'Alene 20 min. to Silverwood theme park. 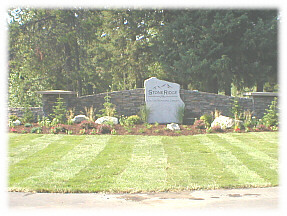 Click here for entrance to golf course. Click here for the pool recreation building photo. Click here for a golf fairway. Click here for golf course. 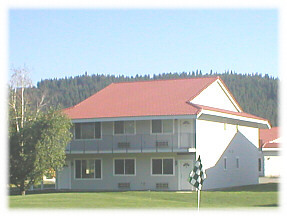 Click here for condo on the golf course. 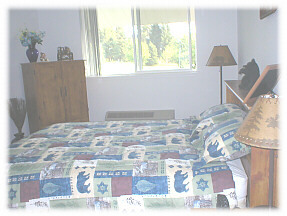 Click here for another bedroom photo. 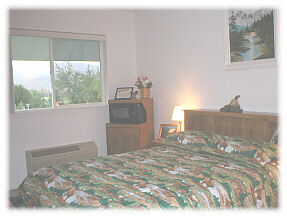 Additional 55.00 cleaning fee regardless of length of stay.